What does your new year look like? Mine looks amazingly different. It started last December 11th, when I began going to school full time. I’ve committed to getting degrees in Computer Science, first an Associate’s, then a Bachelor’s and then a Master’s. The decision to return to school was not a hard one. Not at all. My freelance writing jobs had me spending more time chasing down leads than getting paid. (Money is in short supply where I market my services.) Sales of my book “The Twelve Commitments To Life” are too little. (I didn’t really expect sales to jump off the page anyway. I mean, how many people in stressful economic times want to look at “more” or “better” ways to commit themselves?) And a full time job offer fell through. (I am so grateful that fell through. Do I really want another “job” if I could have a career instead?) So, the first reason is my personal economic prospects. Another reason going back to school is an easy decision is due to my high interest in brain exercises. (See posts on Brain Fitness.) Having a brain that is actively learning and delving into challenges is fun. It keeps me interested in life, how life works and helps me connect with how other people make their life work. Learning is a life-long activity and longevity requires us to have something to look forward to (link to looking forward). Going to class may be worth looking forward, but even more compelling is building the logical framework that comes from an extended course of study. The third reason going back to school was an easy decision is related to the school I chose. I looked at five local options, two of which are done mostly online. I looked at tuition and related costs, graduation rates, the courses offered and student reviews. My choice, California College San Diego, was heads and shoulders above the rest. Besides having exactly the courses I wanted to take (Computer Science with an emphasis on Networking Systems), the staff was exceptionally friendly and confident. I believe they were confident because their graduation rate was above the rest, student complaints are low, they know how to help students get financing, their student/teacher ratio is exceptional and their learning system is efficient. California College San Diego is a for-profit university and, set up on a business model, they have really dialed in on what makes learning efficient. Here’s a link if you are interested in learning more about California College San Diego. As I begin the new year, I am excited to actually be doing what I advocate for: mental clarity, commitment, health, understanding, longevity and living fully. 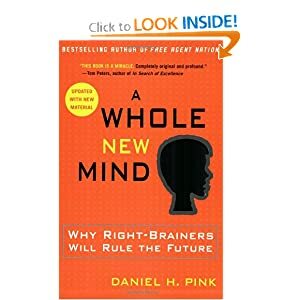 I hope to give further posts about the ways my mind opens and develops in school. I also hope this plants seeds of encouragement to others to consider starting a new career or to support the educational community. P.S. Thank you, Daniel for your inspiration. I love your book. This entry was posted in Change, Commitment, Life Extension, Living Fully Now, Mental Clarity, Posit Brain Fitness, Twelve Commitments to Life, Understanding. Bookmark the permalink.